Ontario County Historical Society, 55 North Main Street, Canandaigua, N. Y. Call (585) 394-4975 for hours. The Cheshire Union, 4244 Route 21 South, Canandaigua, N.Y. Call (585) 394-5530 for hours. Wegman's (Canandaigua Store only), 345 Eastern Boulevard, Canandaigua, N.Y.
1. 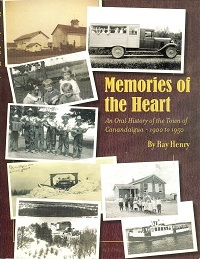 Memories of the Heart (2006): A collection of Oral Histories of personal remembrances of life during a much different time. It is based on interviews with many of the long time residents. The first half of the twentieth century (1900 – 1950) was an exciting time of change in almost every aspect of life, including school life, transportation and all other experiences of daily life. Strong religious beliefs and morals, family unity, and living life with rich qualities without high material richness were the norm. 2. 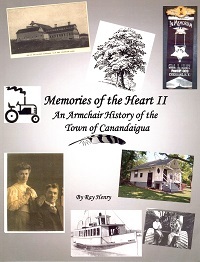 Memories of the Heart II (2013): The second in a series of collections of personal remembrances, these individual stories (2006 - 2013) are tied together with those of many of the historic sites and assets of the Town. 3. 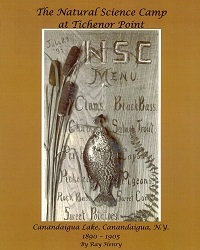 The Natural Science Camp of Tichenor Point (2009): The story of the camp started by Professor Albert Arey, who was teaching science at the Rochester Free Academy in 1889, when he made arrangements with the Jemima Tichenor Trust to rent 4 acres of the Tichenor Point property. He then lined up professors, cooks, carpenters, counselors, a bugler, boats, and sundry supplies. No textbooks were used. Campers were to learn geology, botany, entomology, taxidermy and photography.